You’ll find one in virtually every American bathroom, and in some cases, you’ll find more than one. I’m talking hair dryers. The marvelous styling tool advancement that changed the way men and women dried and styled their hair for decades. The hand-held home-use hair dryer came to be around 1920 after Alexander Godefroy created his original salon-use version in 1890. Over the century that has passed since its creation, there have been many advances in the technology, as well as many others that are purely cosmetic and convenience-based. The basic design of the hair dryer involved a motorized device that blows air. The airflow is directed over coiled heating elements that warm the air. This warm air is used to disperse the moisture in wet hair, leaving it dry. Since moisture and heat both are capable of breaking the salt and hydrogen bonds in the hair, the use of airflow and hair styling tools while drying the hair allows an individual to create new shapes and redirect the position of the hair. 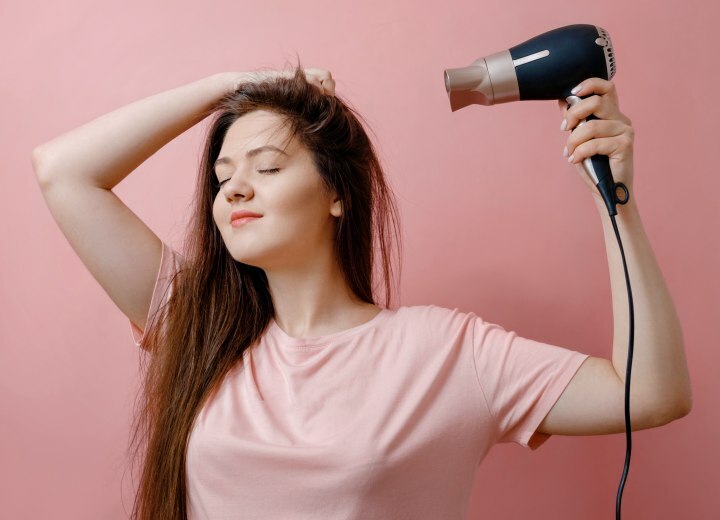 While the mechanics have remained constant, advances in materials science have allowed the creation of improved hair dryers that offer better results and faster drying times for many hair types. One such development has been the use of ceramic and composite materials in creating the heating elements for hair dryers. These newer elements provide more-even heating and reduce the likelihood of “hot spots” during the drying process. This helps ensure that the hair is less likely to be damaged by the heat of the drying process. The even heating also means better control in the styling aspect of the hair dryer use. An even more recent advance has been in the generation of ionic hair dryers. The ionic operation is designed to reduce the amount of static electricity in the hair as it is dried, and helps to create a smoother, more polished finish to the hair. The use of ionic charge generation also helps to disperse moisture in the hair faster without as much heat, which makes it safer for the hair, and allows for quicker drying and styling times. A slightly older, but perhaps the biggest feature development for the hair dryer is the “cool shot” button. This button is usually found on the handle in easy reach and disengages the heating element of the dryer, while allowing the airflow to continue uninterrupted. This means that during the styling process, once a segment of hair is warmed and pliable, the cool shot button can direct cooler air over the hair in the configuration provided by the styling tool used and “set” the new style in place. This is good for straightening and adding wave to the hair as desired. It may take practice, but most find it a technique worth mastering. 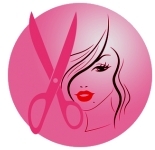 As with most things, the specific features you need for your hair dryer depend largely on the type of hair you have. There are a wide range of features and attachments that serve different purposes and sometimes they can be more than a little confusing. Let’s take the features and factors one by one, and break down what they offer and what they are best suited to provide. Hairdryers are available in a wide range of wattages. The wattage refers to the amount of power used by the dryer. It also indicates the strength of its output. Hairdryers with a high wattage will blow stronger and hotter than those with lesser wattage numbers. They can be more expensive, but you generally want to get the best bang for your buck. Most professionals recommend that you get a hair dryer for home use that has a rating of at least 1750 watts. This is good for most hair types, and will keep you from wasting all your preparation time in the morning trying (unsuccessfully) to dry your hair. 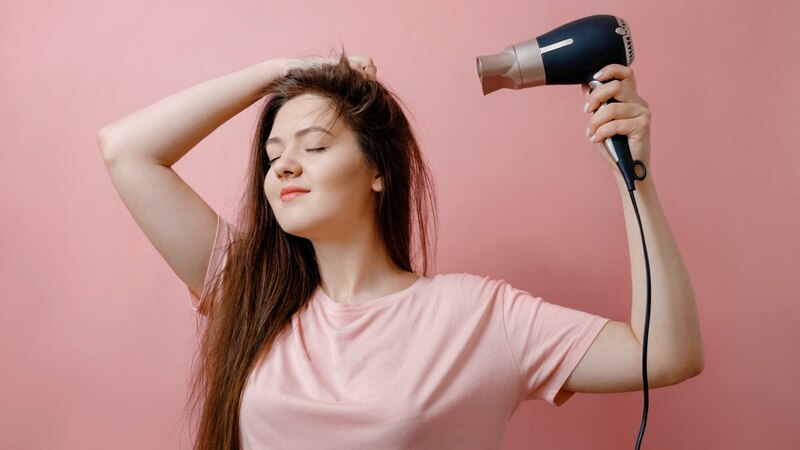 If you have particularly thick hair (meaning that you have a lot of hairs per square inch of scalp) look for a hair dryer in the 1900 to 2000 watt range so that you can have the fastest possible drying time. Conversely, those who have very fine hair, or very sparse hair, might want to stick with a lower wattage hair dryer that will do the job they need without overpowering their more fragile locks. In these cases, a 1250 to 1500 watt dryer may be all you need. Ionic hair dryers help to reduce the occurrence of static electricity by generating negative ions as part of its function. This helps the hair dryer faster with less heat, and gives a smoother finish with less frizz and volume. An ionic dryer is great for thick hair, curly hair and in any situation where you want to create smooth-looking finishes in the hair. Ionic dryers can also be great for those who have very fine hair that is easily damaged by heat styling. Since the ionic dryers require less heat, and dry more quickly, they are perfect for the delicate fine hair types.